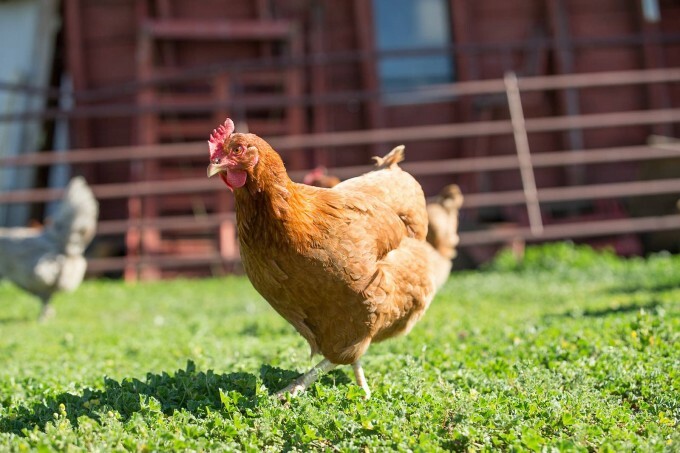 Our poultry and eggs come from birds that live and eat uncommonly well. Raised by fellow Wallowa County family ranchers using sustainable, ethical practices, the birds range over pastures by day, feasting on bugs and grubs, and nest in comfortable, open-air hoop houses at night, on a deep bed of sustainably-harvested soft wood chips. They always have plenty of room to stretch their legs. The deep litter in their hoop houses is scooped out and mixed with rich manure for slow composting. Eventually it is returned to the pastures to enrich the soil. 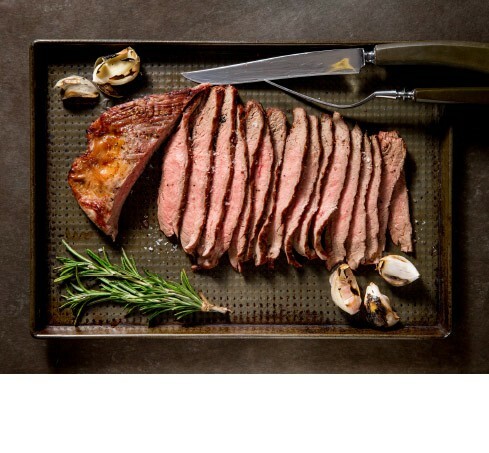 Prime rib recipes almost always begin with searing the roast on the stovetop, or in a very hot oven. Too often, in our experience, this results in the outside of the roast becoming overly dry by the time the inside temperature is where we want it. Naomi Pomeroy, chef/owner of Beast and a devoted Carman Ranch wholesale customer, taught us that low heat is the key to cooking our delicate grassfed beef. After slow roasting in a low oven, crank up the heat and finish the perfect roast in a super hot oven for a short time. You’ll be rewarded with a crispy brown exterior without giving up your juicy pink center. Pat the roast dry with paper towels and season all over with the salt and pepper before rubbing with the garlic. Place on a large plate or a baking sheet and refrigerate, uncovered, overnight. Remove the roast from the refrigerator 1-2 hours before roasting, to allow it to come to room temperature. Meanwhile, place a rack in the bottom third of the oven and heat to 200F. Place the roast fat side up (so that it’s resting on the bones) on a rack set in a roasting pan. Place in the preheated oven and roast until a thermometer reads 118F, about 5 to 6 hours (about 30 minutes per pound). When the internal temperature of the roast is at 118F, remove the pan from the oven onto a wire rack and cover it loosely with foil. Keep in a warm place for at least 30 minutes or up to one hour. Meanwhile, increase the oven temperature to 450F, leaving the rack in the lower third of the oven. When the roast has rested 30 minutes or more, remove the foil, make a ball and put it under the bones to make certain the entire fatty top of the roast is exposed to the heat. Roast until the fat forms a dark brown crust uniformly over the entire top surface of the roast, about 10 minutes. Remove from the oven to a cutting board, slice and serve immediately.